Meet the lovely women of Kazan on this virgin Singles Tour! 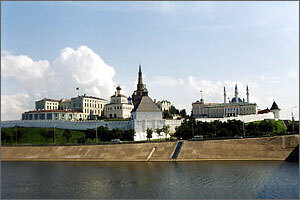 In addition to Kazan's other attractions, this city holds some of Russia's most beautiful women! The population of Kazan, well over 1 million, is so diverse you will find some of the women to be an irresistible blend of Slavic, Asian and Eastern features while others retain their pure Slavic influences. Shiny black hair and dark eyes - or Scandinavian blonde with green eyes, and exquisite, feminine figures are complimented by a natural charm, warmth and affection so typical of Eastern European and Asian women! Our Kazan Singles Tour package features a 4-star hotel and 3 large Champagne Socials with hundreds of sincere and gorgeous women in attendance. We'll whet your appetite by spending our first 3 days and one Social in Moscow, Russia's modern, metropolitan capital. Then we'll take you back in time to a truly romantic city - Kazan - where the women dream of meeting a loving, gentle and family-oriented foreign man! You'll be the center of attention as we introduce you to the most charming and unbelievably lovely ladies you've ever met! 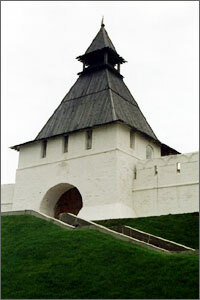 Join us for our first, unforgettable Singles Tour to Kazan!